We thought it would be helpful to create a bird watching gear, tips and resource page so you can easily find birding gear recommendations, bird feeding tips, bird identification aids, bird conservation organizations and more all in one place. Kind of like a quick-start guide for beginner birdwatchers. We will be adding to this page in the future as we discover new birding tips and further resources, so we recommend bookmarking it for your reference and convenience. Enjoy! 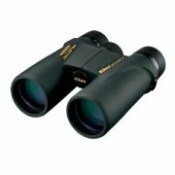 Nikon Monarch Binoculars - Our favorite bird watching binoculars based on price and quality. Save Your Neck - Get a Binocular Harness - I always used a neck strap, but after trying a harness, I'll never go back. How to Choose Birding Binoculars - Start here to learn about binocular features and what to look for when choosing a pair to buy. Best Birding Spotting Scopes - Here are some of the top-rated bird watching spotting scopes. You don't have to spend a fortune for a decent birding scope. We have listed the best in each price range, from super-budget to spare-no-expense. Best Field Guides - I always carry a field guide with me and these are some of the best I've used. Best Birding Apps - I have found some of the new birding apps to be a nice addition to my traditional field guides for both visual and song ID. Bird Identification - If you recently seen a bird you can't ID, use our Bird ID page to submit you photos (if any) and description of your mystery bird and we'll try to ID it for you. 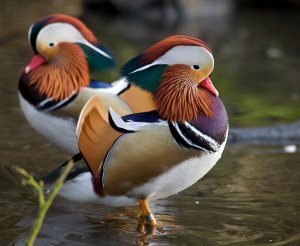 Cornell Bird Guide - I love Cornell's site for learning about bird species. For each bird they give ID info along with several color photos, range, life history information and more. Bird Feeders - List and description of different types of feeders for attracting different types of birds. Top-rated feeder of each kind. Bird Seed Preferences - Includes bird seed chart of different types of seed and which birds prefer them. Attract the birds you want with the right kind of seed. Squirrel-Proof Bird Feeder - Many go to war with squirrels over stealing seed from their feeders. Here is a comparison chart and review of the best squirrel-proof bird feeders. 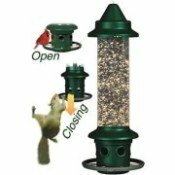 Cleaning Feeders - Tips for keeping feeders clean to prevent the spread of bird diseases from feeders. Free Bird House Plans - Easy, basic bird house plan made from wood. Also links for bluebird, robin, wren, kestrel next box plans. Bird House Dimensions - Chart that specifies dimensions for bird houses based on species preference. Bluebird Nest Box Plan - Several plans for Eastern, Western & Mountain Bluebirds. Winter Roost Box - Plans for a winter roost box to keep the birds cozy warm (well, warmer) during the cold months. Bird Bath Buying Guide - Features to look for when buying a bird bath. 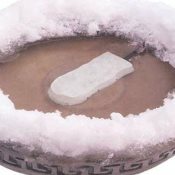 Bird Bath Heater - De-icers to place in your existing bird baths to keep water from freezing on cold winter days. Heated Bird Bath - Built-in heater keeps water from freezing. Energy-saving thermostat only turns on when temperature falls. Cornell Lab of Ornithology - Organization committed to conservation, scientific study and public education of birds for people of all ages. Audubon - Their mission is to conserve and restore natural ecosystems, focusing on birds, other wildlife and their habitats. American Bird Conservancy - Conservation of birds and habitat throughout the Americas by halting extinctions, protecting habitats, eliminating threats and building capacity. 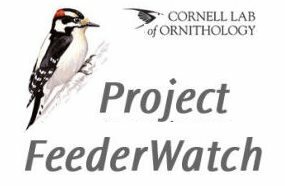 Project FeederWatch - Gather data for population studies by recording the birds you see in your backyard during the winter. Sponsored by the Cornell Lab of Ornithology. Christmas Bird Count - Participate in Audubon's annual count between mid-December and early January. There are many locations to choose from in your local area. All volunteers welcome, from novice to experienced birders.